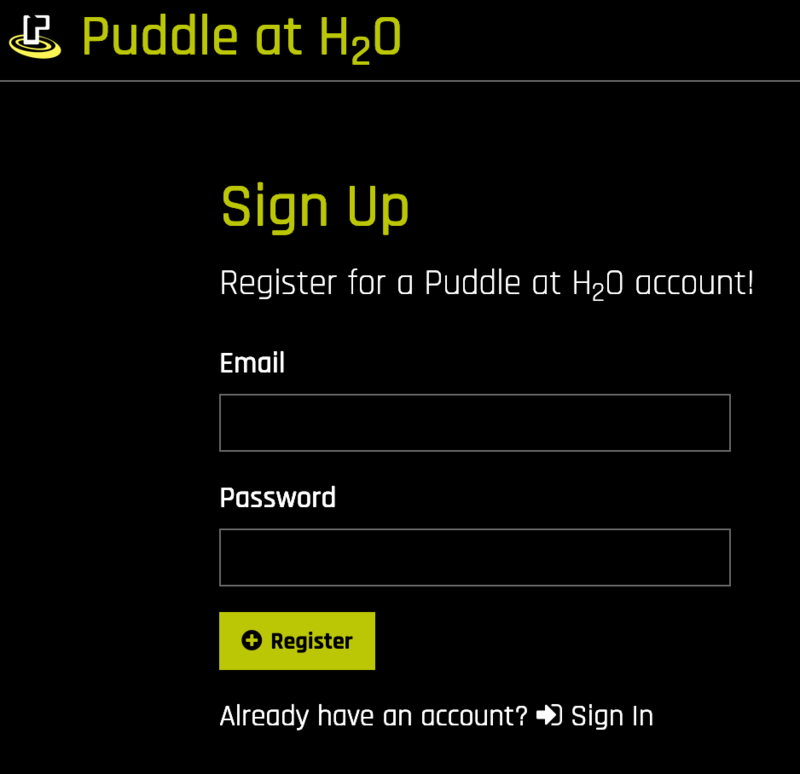 Go to puddle.h2o.ai and click Sign Up for Account. Enter your e-mail address and specify a password. Keep this information in a safe place. This will be your login information. WARNING: You must contact your admin if you lose your password. Upon completion, the Puddle at H2O site will launch. At this point, you will be prompted to provide a credit code. You will not be able to launch any systems until you apply credit. Enter your credit code, then click the Add Credit button to apply your credit. Note that you can also add credit at any time by clicking the Add Credit button in the top menu bar. After adding credit, the top menu bar will show you your current spending amount and your total cerdit. © Copyright 2019 H2O.ai. Last updated on Apr 09, 2019.